So what is happening with the Clone Wars? We know that we won’t be getting a season 6 airing on TV but the rumor of it appearing on Netflix is still floating around. If not, what will happen to all of the different story arcs that were left unanswered? Lucasfilm has announced that there will be a finale to the The Clone Wars which will take place in the form of a comic series. This doesn’t mean that the fully produced episodes will not air, just no official confirmation date has been released. Dark Horse will be taking over this series and the title has been announced, Darth Maul: Sons of Dathomir. So this will be taking some of the story arcs that are based off the unaired scripts and tying them into the comic which is scheduled to release in May. 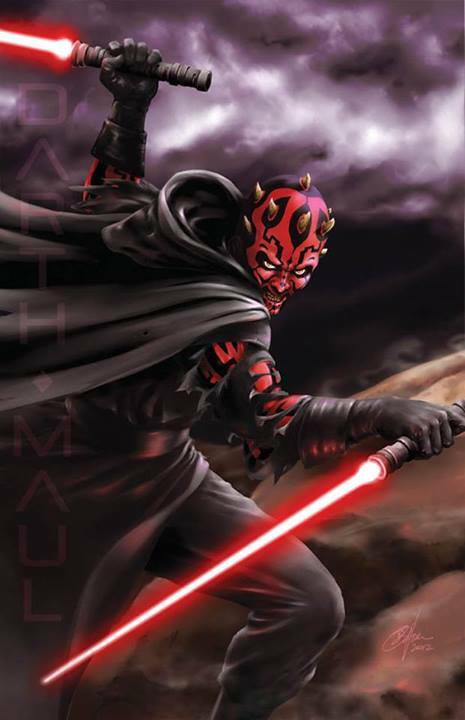 Darth Maul: Son of Dathomir sees the full-scale return of Darth Maul to the Star Warsuniverse and into a head-to-head battle with his former master Darth Sidious – aka, the Emperor. Barlow promises to fully delve into the world of Dathomir, as well as some of its inhabitants like Nightbrothers and even a new character called Brother Viscus. Writer Jeremy Barlow is to take on bringing this story to life and we’ll finally get the conclusion that we’ve all be waiting for, we just have to be patient and wait a few more months for its release. If you are interested in reading the full exclusive interview with Jeremy Barlow and Newsarama you find it here.